-4x reds on outside, 4x blues and yellows on inside of square. 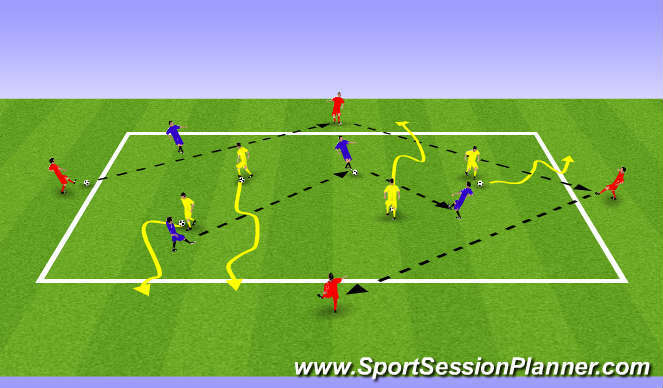 - 4 yellows have a ball each and dribble within square to outside line turn and dribble to another outside line. - 4 reds pass to each other around the outside. Yellows make sure they move and create space within the square for each other - vacate the space so somebody else can replace. Reds must find space for pass through square - ensure not stood behind players.